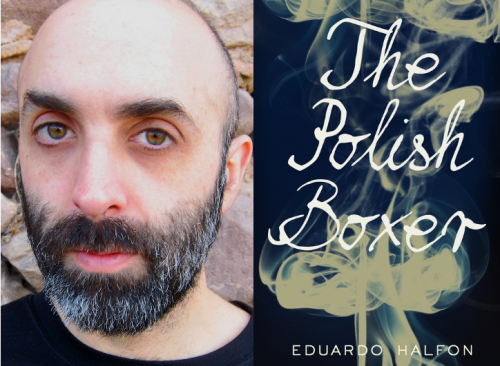 Eduardo Halfon and his first novel to be translated into English, The Polish Boxer. Photo courtesy of the writer. 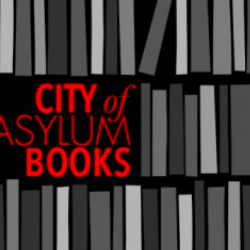 Next Tuesday’s City of Asylum´s reading with Eduardo Halfon is sold out. For those who can’t make it, good news: He will do a brief reading on Wednesday February, 13th at 6:00 at Penguin Bookshop (420 Beaver Street, Pittsburgh PA 15143). Call 412.741.3838 for more information. Halfon was born in Guatemala City. He moved to the United States with his family at the age of ten, went to school in Florida, studied Industrial Engineering at North Carolina State University, and then returned to Guatemala, eventually teaching Literature for eight years at Universidad Francisco Marroquín. 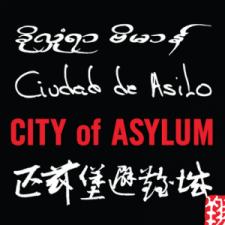 In 2007, he was named one of the best young Latin American writers by the Hay Festival of Bogotá. He has published nine books of fiction, and has received Spain’s prestigious José María de Pereda Prize for the Short Novel. He was recently awarded a Guggenheim Fellowship to continue the story of The Polish Boxer, which is the first of his novels to be published in English, and from which he’ll read at the Penguin Bookshop. Words without Borders published this review of The Polish Boxer in its February 2013 issue; the New York Times published this review in December.